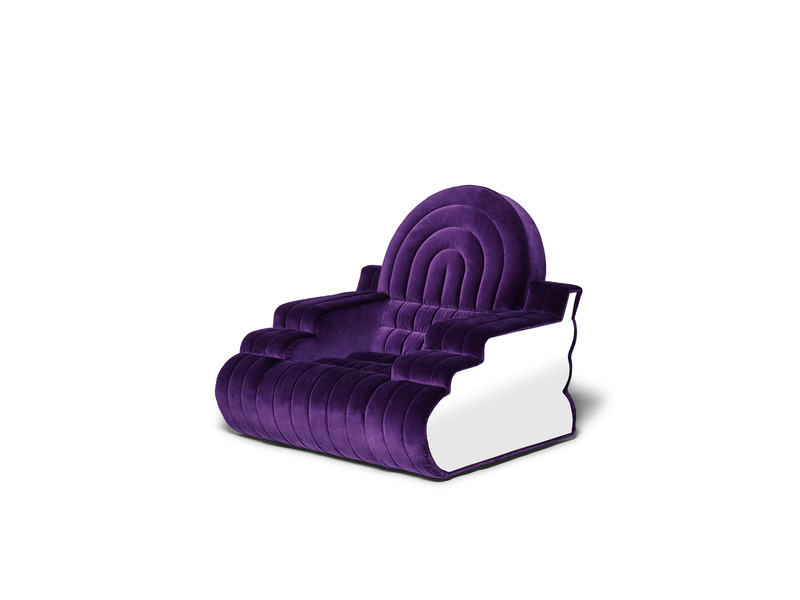 Stanley, padded with soft and sinuous lines, is characterized by the post-modern aesthetics of its design. 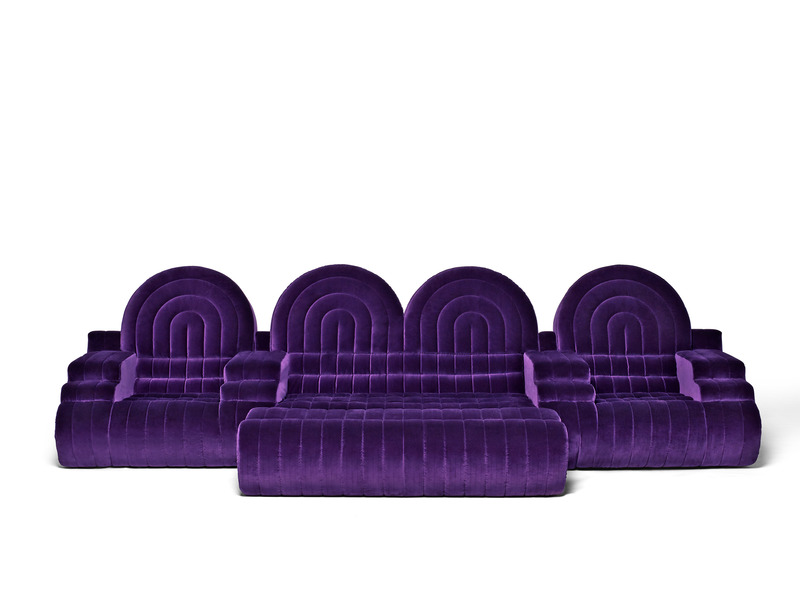 Proposed in a series of elements that allow you to build a completely tailor-made settee, creating different configurations according to your needs, it has a deep seat and wide enveloping armrests: it is the perfect project designed to transform your living room into a real cinema. 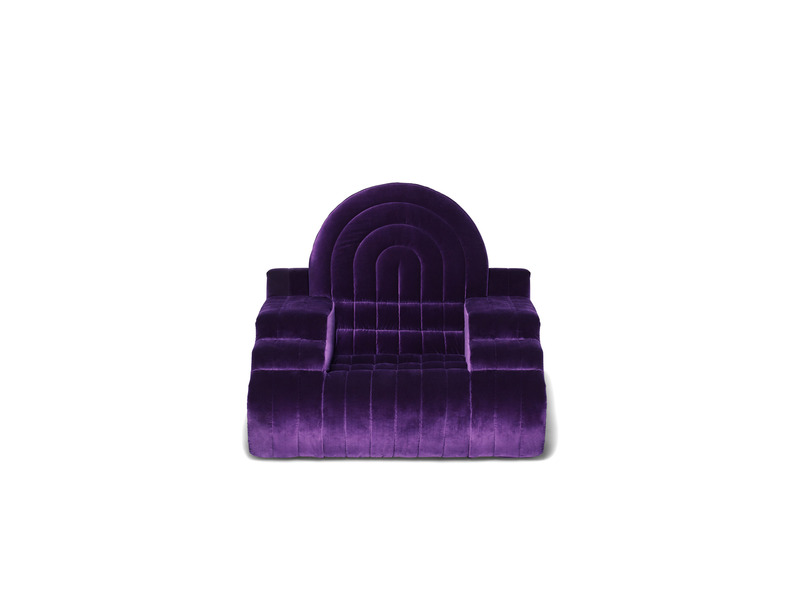 Presented with a purple velvet lining, it can be customized with velvets available in a wide range of vibrant and deep colors. 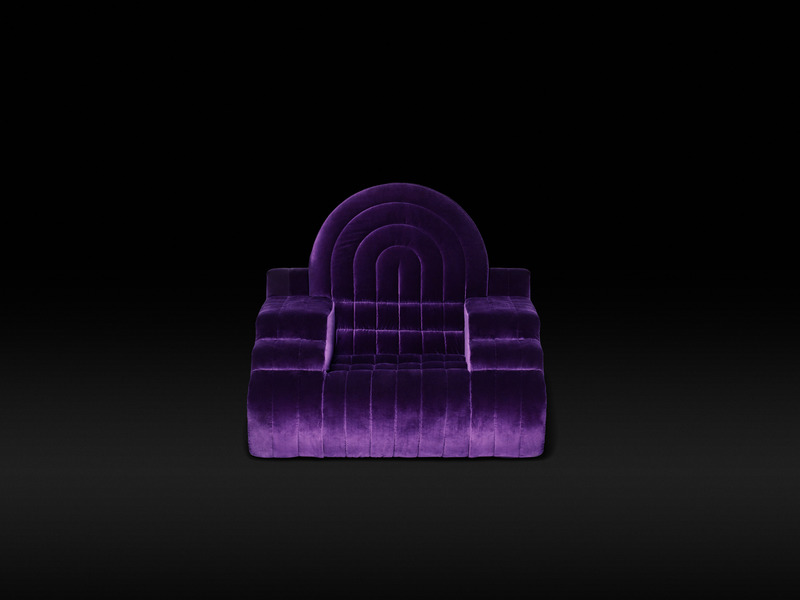 The particular tone-on-tone quilting of the upholstery creates a lively surface and gives rise to a sensual decorative motif that embellishes the prod- uct.Stanley’s peculiarity is the laminated mirror upholstery that defines its side panels: an unexpected touch, a subtle reference to the aesthetics linked to the world of discos.